Is your dryer taking a long time to dry each load of clothes? 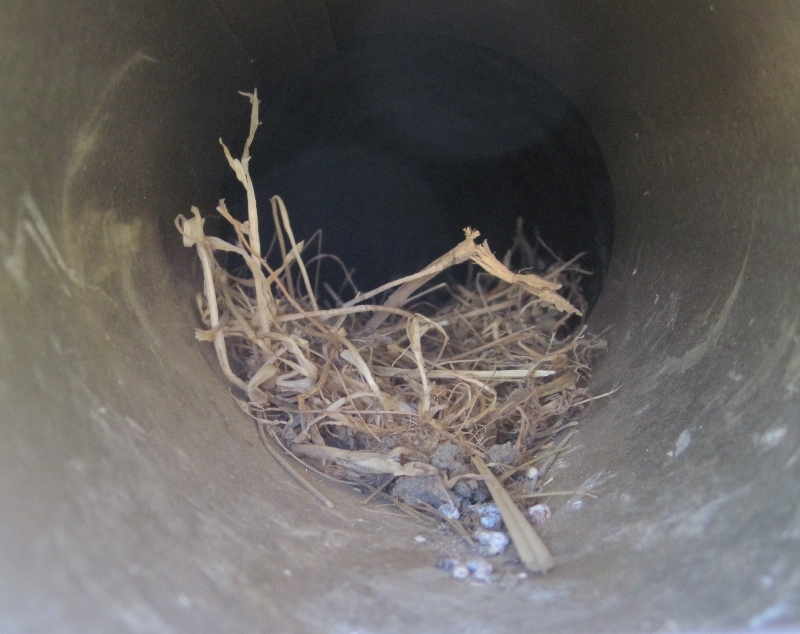 One thing you might want to check is that no birds or mice have taken up residence in your dryer vent! You see birds like to be nice and warm and your dryer vent is just that, it also comes with a nice supply of lint to make a dream nest. How to check simply locate your dryer vent on the outside of your home. If you are not sure which vent is the dryer try running your dryer for a few minutes check your vents, feeling for warm air. Once you find the vent check inside for unwanted guests. If it is a plastic exhaust vent that is missing any louvers/flaps then there is a strong possibility that something enjoying free board inside your vent. A nest in your dryer vent can cause your dryer to work extra hard, it will cause lint to build up in the vent and deep inside your dryer, and your clothes will take longer to dry. Dryer vent cleaner of Burlington can come and remove the nest and replace your old vent with a nice new one. We love all animals but they have their place and we have ours, if we can relocate the nest we will. Call us today or contact us today to schedule a visit to remove your birds nest or mice, we would also recommend dryer vent cleaning your whole dryer vent system and the dryer lint area too!